We have enjoyed giving gifts to friends, neighbors, co-workers, etc. when Christmas rolls around. I used to bake yummy treats for years. One year, someone gave us some bread for Christmas. It was such a nice change from all of the sweets. Most people I know are very grateful for a loaf of homemade bread at any time of the year. Another reason to consider making bread is that you will avoid having all of those sweets in the house tempting you to eat them and gain weight. 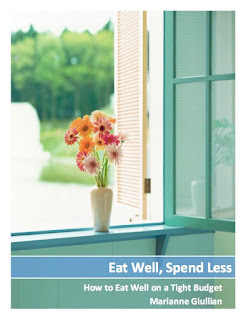 You will also save a lot of money, because butter, chocolate chips, nuts, etc. can be expensive. 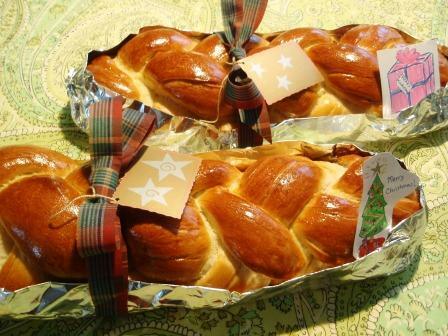 If funds are very tight, try making rolls or mini loaves, especially if you are making food gifts for smaller families. Instead of a regular looking loaf of french bread, try making a nice braid. Maybe you can shape it into a Christmas tree. We tie our french rolls into knots that look like Kaiser rolls. 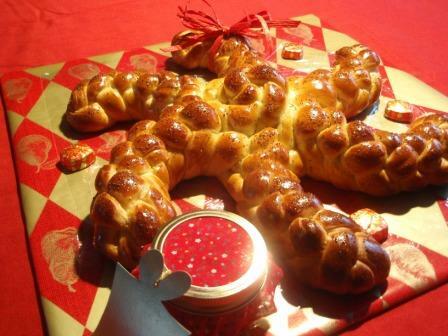 Photos from The Fresh Loaf - Don't you like the braided bread and the Christmas stars! You can still give gifts from your kitchen even if you are on a very tight budget. Don't let the lack of funds dampen your spirits. Think of creative things that you can do with the resources you do have. If you decide to make sweet treats, try to make something that is less expensive. For example, Ginger cookies or Shortbread cost less than Chocolate Chip cookies with Pecans. Another idea would be to give some homemade jam as gifts. You could even give a jar of jam with a loaf of bread. 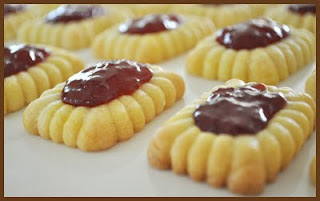 You could also make some Thumbprint cookies with your homemade jam. Try different shapes like the ones below. Photo from Brown Cookie Blog - Look how nice these look! What are some of the frugal gifts from your kitchen that you have given to others for Christmas?